In a fast changing world where technology is increasingly important, a digital divide is being created in education. Students in higher decile schools often have access to their own device and the internet at home, which allows them access to enhanced learning opportunities. 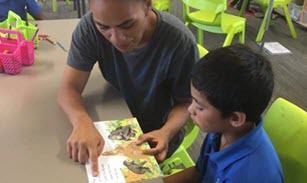 Unfortunately, students in low decile schools often miss out on these enhanced learning opportunities, as they do not have access to a device or affordable internet connectivity. Te Aka Toitū aims to provide students within low decile schools in the Whakatane and Kawerau Districts with access to an affordable device and an affordable internet connection in their homes. As well as access to affordable devices and affordable internet connectivity, Te Aka Toitū also aims to provide extensive professional development to teachers involved in the participating schools so they can provide our students with future-focused learning opportunities. We aim to provide our students with the opportunity to be lifelong learners who are confident and connected, and who will contribute positively to their community in the future.